Every sailor who is in charge of managing a crew has a floater or two on speed dial. For the person who gets called last minute to fill a vacancy or add crucial weight, here are some tips on how to excel from "pro-floater" Lara Dallman-Weiss. The floater position is reserved for a very special type of sailor, often overlooked but extremely important. They’re the sailor that jumps on last minute when there is weight to be filled or a regular crew member gets food poisoning. To understand the key qualities of an exceptional floater, you must first understand the process of putting a team together. Now imagine how many moving parts are involved with the sport, and you start to understand how the floater must be comfortable with last-minute race calls or getting dropped due to weight. While floaters must have the necessary basic skills, good floaters will also be personable, motivated, and willing to jump in and help with whatever is needed. Since the floater position is usually filled last, floaters need to be comfortable sailing with different boats and teams. The first thing a good floater should do when stepping aboard a new boat is get acquainted with the basics, including vang, outhaul, cunningham, pole, and tack line. These controls require little strength and can be performed by anyone in a pinch. If there is a call for something and the floater is closest to it, jump to the task at hand! The more that floaters step up to the plate without being asked, the more responsibilities they will be assigned. Knowing how to load the new winch properly, a miniscule task but one that is quite helpful in a tacking duel. Pack kites in an organized way, specifically the way the bow team prefers. Showing up early to organize kites is a mindless task but makes a huge difference in the boat’s performance. Understanding marine electronics and the ability to drive the box. Navigation knowledge is helpful not only when no one on the boat is versed, but also during coastal races and deliveries. A good floater needs to have the personality to fit right in regardless of the boat and make everything easier for the team. Beyond the basic skills that can be taught, floaters need to develop mental skills in order to read a team’s cues. Here are some key things to remember when you step on the boat. HIKE IT LIKE YOU LIKE IT: Even a 100-pound floater makes a difference, though it may seem insignificant to fully hike against a 10-ton boat when all other teammates leave the rail reaching to the offset. Nonetheless, hiking is a must, and even if it makes little difference to the boat’s performance, someone on the team will recognize the floater’s effort. KNOW WHEN TO TAP OUT: Racers are competitive and want to win, which means not showing weakness. Knowing a personal max grinding wind speed and keeping an honest eye on velocity will determine when it is appropriate to tag in someone else. Do what is best for the boat. ALWAYS LEND A HAND: What’s the point of adding one more body helping to trim the main or carry a sail? The extra horsepower makes a difference, especially on a physically tiring boat. It is always better to jump in and be told the assistance is not needed rather than doing nothing. 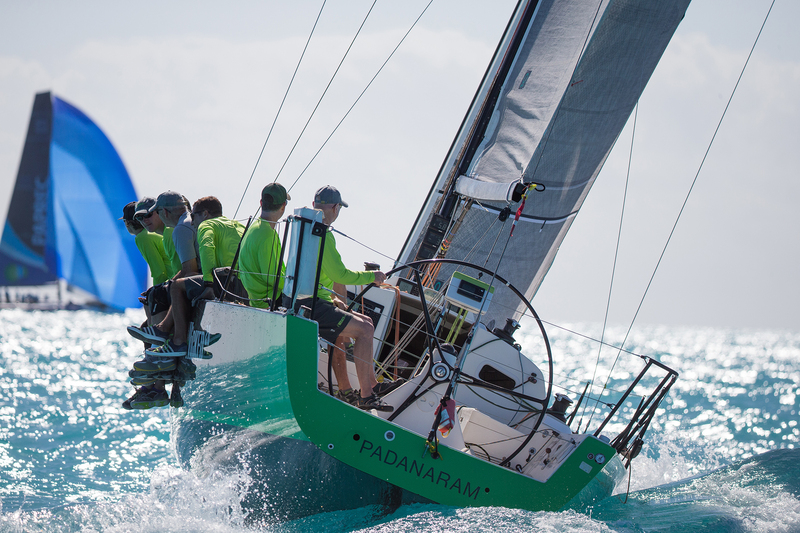 READ UP: As soon as you get the green light from the team, read the sailing instructions and regatta rules. Creating a cheat sheet with change marks, start times, flag numerals, and any other useful information is a great way to stay in the know. This also applies to the general rules of sailing. Make sure you own a copy of the current rules and make sure you have a good understanding of them. If you’re just starting out, remember that an adaptable personality, get-go attitude, and humor are what will make you a great floater and help you keep your schedule full.